New Oscar Voting Rules: Will They Favor Grown Up Films? For Oscar lovers like me, the usual nail-biting anticipation that accompanies the Annual Academy Awards is all the greater this year. Not only are there more films up in the category of Best Picture, but the rules by which that movie is selected have also changed. And so, the big question on everyone’s mind is: who benefits? Today, I’m over on PoliticsDaily.com talking about these new rules and what they might mean for the future of “grown up” (read: Indie) films. Have a look. 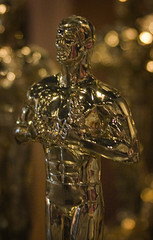 Image: I’d Like To Thank The Academy by IceNineJon via Flickr under a Creative Commons License. The Oscars are not my cuppa, but anything that helps good films at the box office would be a step forward. As to real-life elections, it’s difficult for me to figure how the newer system would work in Brit politics. As for what we used to call government in the US, clearly almost anything would be an improvement.